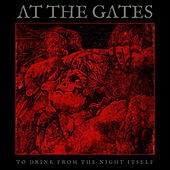 Is At the Gates' Slaughter of the Soul the perfect dark Metal album? There aren't many recordings that can throw your entire world off its axis and leave you spinning lopsided with the weight of doom, but this record will. Every song pounds with its own black heart and abides by its own bleak logic. Most so-called "technical metal" acts truck in cheap, penny-ante riffs that line up head to tail like so many well-heeled sheep. At the Gates move fluidly through a menagerie of complex, unpredictable measures -- each phrase gliding imperceptibly into the next -- without ever sounding showy. Lyrically, this band brilliantly defies the pomposities of Black Metal, writing songs that writhe with real agonies. 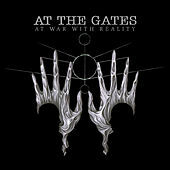 Everything At the Gates touched is worth hearing, but Slaughter... represents them in their finest hour. It's an album with flesh between its teeth, blood under its nails, and the cloud of horrible visions in its eye.